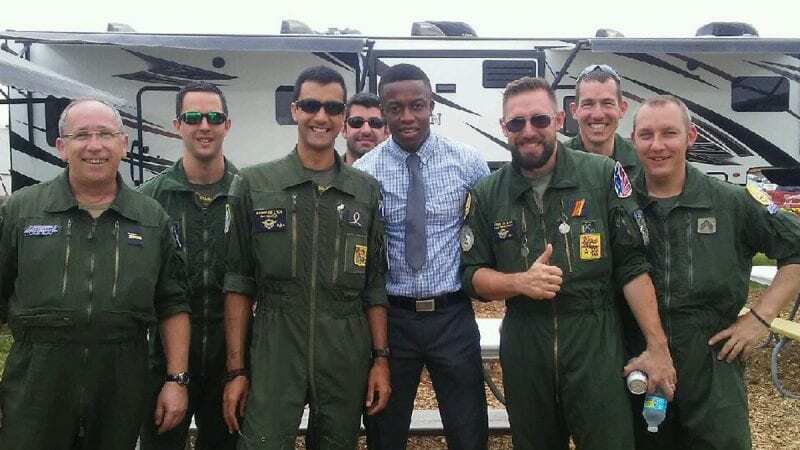 It was just another Monday when Polk State student Butler Charles got the invitation of a lifetime— to join the French air team Patrouille de France as one of the official translators during their visit to the SUN ‘n FUN International Fly-In on Tuesday, April 4. Eric Crump, program director for the Polk State Aerospace Program and Orathai Northern, interim dean of academic affairs and district dean of academic programs, contacted John Barberet, professor of French, regarding the need for French translators to assist the international visitors. Barberet reached out to a few of his best students and Charles jumped at the chance. Charles’s day began with introductions to the team and to the lead pilot who would accompany Charles during the visit. Charles quickly learned that the team had a strong understanding of the English language and not much need of his translation skills, but he was still excited for the chance to engage the team and learn about aviation from a new perspective. Indeed, Butler was treated to the VIP SUN ‘n FUN experience, including attending a variety of pre-show security briefings. Charles also had a behind the scenes view of various aircraft on display at the air show. For Charles, the day was like nothing he had experienced before. 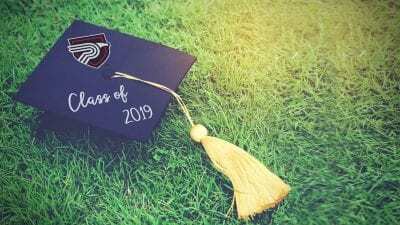 It will remain a highlight of his time at Polk State College, as he hopes to finish his degree soon and join the military.